After winning the toss, the Rajasthan Royals elected to field first on a brilliant batting pitch. The Mumbai Indians batting first had a great start with the bat getting a 96 runs partnership as both De Kock and Rohit Sharma were taking on the bowlers. Once Rohit Sharma got out for 47, the scoring rate slowed down a bit with Suryakumar Yadav got out and Pollard used up a few balls. De Kock fell for a well made 81 but Hardik Pandya finished off the innings well for the Mumbai Indians scoring 28 off just 11 balls to take the team to a total of 187. In return, the Royals started off with a flyer with Rahane taking on the bowlers. He fell right after the power play as Buttler shifted gears after that. Buttler hit 7 sixes and 8 fours including 28 of Alzaari Joseph's over and fell for a magnificent 89 of 43 balls. After this Samson fell in the 5th ball of the 17th over when the score was 170. That started a massive collapse. From 170/2, they got to 174/6 losing 4 wickets for just 4 runs!!! Krunal Pandya and Bumrah got them back into the game picking up those wickets. Shreyas Gopal got an edge away for a boundary in the 5h ball of the 19th over which helped them and it came to 6 needed off the last over with Hardik to bowl. Gopal just took 3 balls to get the runs and pulled off a victory. It was a match that the RR should have won easily, but a major collapse took it to the last over as they just managed to scrape through. This page contains news relating to various facts and events. The views are generally about current affiars and general topics in diversified areas such as political, international, national, and regional issues, sports, health, travel, lifestyle, technology and business. People having similar interets on the above topics will find this page useful. 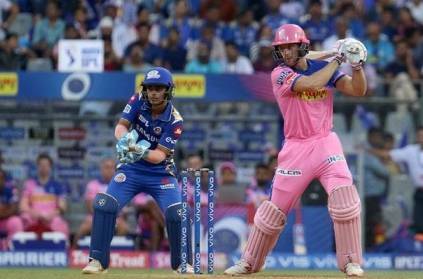 RR win a thriller against MI | Sports News.